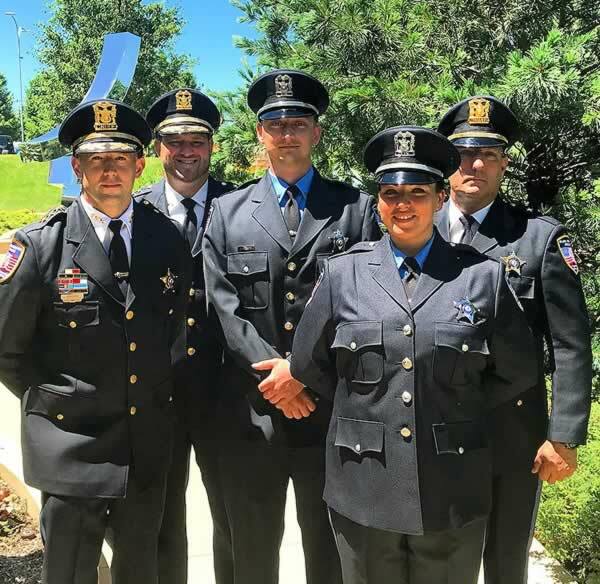 Park Forest, IL-(ENEWSPF)- Editor’s Note: This police beat coverage represents reports through October 1, 2018. Charges for those arrested in this time period include aggravated assault involving a gun, domestic battery, DUI, and theft of labor or service. Kendall N. Garner, 22, 654 E. 85th St., Chicago, was arrested on September 30 and charged with driving under the influence and alcohol concentration over .08 when police responded to the first block of Main Street to investigate a report of a private property accident. When police arrived, they observed a vehicle lodged against a pole barrier in the parking lot at 2 Main Street near the ATM machine. An officer made contact with the driver, later identified as Kendall Garner, who was “scrambling around inside her vehicle looking for her eyeglasses,” according to police. Ms. Garner was crying and upset due to the accident. Ms. Garner appeared to be so distraught that she began hitting the side of the First Midwest Bank building with her open hand and then knelt against the pole barrier crying, according to police. Ms. Garner and a passenger then sat inside the vehicle to wait for a tow truck and a ride home. Ms. Gardner told police that a ride for her and her passenger would be on the scene in 30 minutes. The responding officer offered a ride to the Park Forest Police Department so they could wait in the lobby until there ride arrived. Prior to leaving for the Park Forest Police Department, Ms. Garner’s friends arrived on the scene. Ms. Garner walked to her friend’s vehicle and sat in the rear driver’s seat. When the tow truck arrived on the scene, Ms. Garner exited the vehicle and walked towards her vehicle, allegedly becoming “hostile and erratic because her vehicle was being towed,” according to the report. The responding officer then observed Ms. Garner walk to the tow truck looking for the tow truck driver. 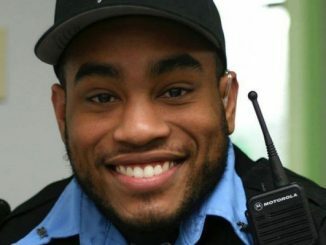 The responding officer noticed Ms. Garner stagger as she walked towards the tow truck. She then appeared to be walking off balance. The officer asked Ms. Garner if she had been drinking. Her initial reply was that she did not have any drinks. The officer then requested an additional officer to assist with a field sobriety test. Following the administration of the field sobriety tests, the officer informed Ms. Garner that she was under arrest under suspicion of driving under the influence of alcohol. Her vehicle was towed and an administrative seizure was placed on it. Ms. Garner agreed to submit to a breath sample which indicated that she had a BAC of .154, according to police. Police subsequently issued Ms. Garner citations charging driving under the influence of alcohol and alcohol concentration over 0.08 with a mandatory court appearance of October 22 at the Markham Courthouse. Melissa M. Torres, 32, 3611 S. Kings Road, Steger, was arrested on September 30 and charged with DUI – alcohol, leaving the scene of an accident, failure to yield the right of way, no insurance, improper turn, and using a cellular device. Ms. Torres was assigned a court date of November 14 at the Markham Courthouse. Police responded to the intersection of Western Avenue and Sauk Trail to investigate a report of a hit and run accident on September 30 at approximately 10:13 AM. Police spoke with a driver who said a green Chevrolet Lumina turned into his vehicle. His vehicle and the attached trailer were jackknifed into another vehicle that was waiting to turn southbound onto Western Avenue. The driver of the Chevrolet, described as a white female wearing a traffic safety vest, then allegedly reversed into traffic and fled westbound on Sauk Trail, leaving behind the vehicle’s front bumper embedded into the side of the alleged victim’s vehicle, along with the license plate embedded there. Police spoke with the other alleged victim who said she was also struck by a vehicle that left the scene, according to police. Police also interviewed witnesses to the crash who stopped and reported what they saw. While in the 200 block of Allegheny Street in Park Forest, another officer located a green Chevrolet Lumina matching the description of the vehicle that allegedly fled the scene. That vehicle was missing a front bumper. The officer later matched the rear license plate. The officer observed that the driver was vomiting out of her vehicle all over the driver’s side door. The officer spoke with the driver who was later identified as Melissa Torres. Ms. Torres was subsequently arrested and transported to the Park Forest Police Department. Julius Betton, 28, 133 N. Arbor Trail, Park Forest, was arrested on September 30 and charged with one count of domestic battery after police were dispatched to the 100 block of North Arbor Trail to investigate a report of a domestic disturbance. While on their way to the scene, dispatch advised office that a woman was leaving the scene in a Chevrolet Impala. As officers arrived in the area, they noticed a 2015 silver Chevrolet Impala driving southbound in the first block of North Arbor Trail. Officers activated their emergency lights and stop the vehicle. The driver attempted to exit her vehicle and told police that she had just left her boyfriend’s residence and that the two were involved in a physical altercation. Her boyfriend was Julius Betton, according to police. She told police that she was on her way to the Park Forest Police Department to report the alleged domestic battery that had taken place. Police went to Mr. Betton’s apartment and entered using a key that Mr. Betton had given his girlfriend. They found him with another female who the first woman believed he was cheating with, according to the report. The alleged victim told them that Mr. Betton allegedly began bending her fingers and fingernails backward forcefully during an argument that they were having. The alleged victim said that Mr. Betton allegedly pushed, shoved, and tossed her around in several different directions. She further stated that Mr. Betton allegedly kicked her just below her hip on the left side of her thigh, according to police. Nailah N. Owens, 18, 321 Miami St., Park Forest, was arrested on September 30 and charged with theft of labor or services and one count of assault when police were dispatched to the 200 block of Miami Street in reference to a report of theft of services. Nedra T. Stone, 34, 321 Miami St., Park Forest, was also arrested and charged with one count of disorderly conduct. Police responded to the scene with emergency lights activated when a pizza delivery driver told dispatch that he was allegedly paid in counterfeit currency by a female subject who then allegedly threatened him with a knife. The woman then entered a silver Chevrolet Tahoe which began driving away from the area, according to police. As one officer turned onto Miami Street, a silver Chevrolet Tahoe drove East past the officer and across Indianwood Boulevard. The officer conducted a U-turn and began following the silver Chevrolet Tahoe. This officer curbed the Tahoe in the 100 block of Miami Street, according to police. Police gave loud verbal commands to the driver, later identified as Nedra Stone, to turn off the vehicle and exit the vehicle. Ms. Stone initially complied, but when one officer ordered her to face away from police and walked backwards towards them, she allegedly became uncooperative and argued with police, according to the report. The occupant of the front passenger seat, later learned to be Nailah Owens, Ms. Stone’s daughter, exited the vehicle. Police ordered Ms. Owens to get back in the vehicle. Ms. Owens put her hands up and allegedly told officers, “I did it,” and stated that her mother was not involved with the incident. Ms. Stone eventually complied with officers and was detained in handcuffs. Ms. Owens also allegedly became uncooperative with police but was eventually detained in handcuffs as well. Another officer responded to the scene with the complainant who said that he was a delivery driver for a restaurant in Richton Park. An online delivery order for a medium pizza was placed with a requested delivery time of 10 PM in the 300 block of Miami Street. The total for the order was $22.81. The delivery driver responded to the address listed at 10 PM and knocked on the door. He received no answer and called the listed phone number. He told police that he believed the address was a vacant house. The delivery driver got back into his vehicle and continued making deliveries, eventually returning to the restaurant. At 10:45 PM, and unknown subject called the restaurant and said the pizza for Miami Street was never delivered. The delivery driver went back to the location and parked in the driveway stated in the order. He observed a silver Chevrolet Tahoe parked on the curb of Miami Street near Shabbona Drive. He said he was met by Ms. Owens who approached from the backyard of the house. He informed Ms. Owens the order total and she handed him two $20 bills. He told her that her change would be $17.19. Ms. Owens told the driver to keep $10 as a tip and give her seven dollars back, according to police. Ms. Owens then changed her mind and asked the driver to give her $10 back and keep seven dollars as a tip. The driver gave her two $5 bills as her change and then returned to his vehicle. Upon returning to his vehicle, he observed that the $20 bills look suspicious. They were darker green then normal and had no holographic security features. Additionally, he noticed that President Andrew Jackson’s image was labeled “Cruger” instead of “Jackson,” and the White House on the back of the bill was labeled “Donetsk City” instead of “The White House.” The word “copy” was printed in the upper left corner on both the front and rear of the bill. The driver confronted Ms. Owens and demanded that Ms. Owens turn over the money and the pizza. Ms. Owens allegedly walked away from the driver. The driver continued to ask her to return the pizza and the money. The driver called 911 and requested police assistance. Ms. Owens then became angry with the driver and allegedly said, “Get away from me. I have a knife and if you get close to me I’ll stab you,” according to police. The driver related this information to SouthCom Dispatch, according to police. Ms. Owens then allegedly threw the pizza in the direction of the delivery driver and it landed on the sidewalk in front of a house in the 200 block of Miami Street. The driver then related the license plate of the silver Chevrolet Tahoe that was near them. Ms. Stone allegedly approached the driver and told him not to give her license plate information to anyone. Ms. Stone then allegedly yelled several profanities at the driver while doing so, eventually returning to the vehicle, which Ms. Owens had also entered. Ms. Owens then threw the two $5 bills that the driver had given her out the passenger window of the vehicle. Ms. Stone and Ms. Owens proceeded to drive away southbound on Miami Street in the Chevrolet Tahoe, according to the report. Police contacted the United States Secret Service regarding what had allegedly happened. An agent from the Secret Service said that they would not attempt to respond and take custody of Ms. Owens at that time. The agent requested that police mail a copy of this report to the Secret Service in Chicago. Charles M. Everett, 55, 334 Farragut St., Park Forest, was arrested on October 1 and charged with aggravated assault and domestic battery after police responded to the 300 block of Farragut Street to investigate a report of a domestic disturbance. Prior to their arrival, dispatch told police that a man had left the residence with a walker. When they arrived, police located the man, later identified as Charles Everett. Mr. Everett told them that he got into a verbal altercation with someone in his residence over money that she owed him, approximately $400. He allegedly told police that he was leaving, that he went into his bedroom and retrieved his gun, a .38 revolver, from his dresser drawer. With the gun in hand, he started to walk toward the door but a woman in his residence started yelling at him to put the gun away. She then believed that he was pointing the gun in her direction but Mr. Everett said he did not. She allegedly grabbed the gun from his hand and threw it towards the front door, breaking the window. During the struggle, Mr. Everett said he fell down to the ground due to his poor health and his need for a walker. He said he was later able to pick himself up and leave the residence, according to police. Police then interviewed the alleged victim who said that she and Mr. Everett were arguing in the kitchen. Mr. Everett grabbed her wrist with one hand and allegedly held up a box cutter in the other. Mr. Everett then demanded his money and his scooter from the garage. Mr. Everett then allegedly twisted her right hand, breaking off one of her nails and causing her pain. She was able to push away from Mr. Everett who walked into their bedroom. She said he started to pack up his belongings, that he was leaving the residence. While she was speaking with Mr. Everett, her cell phone rang and Mr. Everett allegedly became upset, believing she was calling the police and started yelling at her. She said she was looking down at her phone and saw Mr. Everett gesture in her direction. When she looked up, she saw Mr. Everett allegedly pointing his revolver at her. Mr. Everett then allegedly tated, “If you call the police I’m going to blow your f**king head off,” according to the report. She said she was able to slowly back away from Mr. Everett who went back into the kitchen. Mr. Everett slowly followed behind and met her in the living room area. Mr. Everett then allegedly started to ask about his money and scooter but now without the gun in his hand. After refusing to give Mr. Everett any money, she said Mr. Everett then bent down and put his hand into a laundry bag. She believed he was again going to retrieve a gun so she stepped on Mr. Everett’s hand. She was then able to pull out the gun from the bag and throw it across the room, breaking the window near the front door. Mr. Everett then picked himself up and left the residence. The alleged victim then called police and put the gun in the kitchen. She also recovered Mr. Everett’s rifle and hit it under a dresser in the bedroom, according to police. An officer observed the gun, a .38 caliber silver Taurus revolver, fully loaded with five cartridges, according to police. The gun cleared LEADS. Joehun T. Jones, 315 Seneca St., Park Forest, was arrested on October 1 and charged with criminal damage to property. Mr. Jones was assigned a mandatory court date of November 14 at the Markham Courthouse. olice responded to the 200 block of Blackhawk Drive at 11:44 AM in reference to a criminal damage to property complaint. Upon arrival, police spoke with the complainant who said that while approaching Miami Street on Blackhawk Drive, a silver vehicle turned south on Blackhawk Drive from Miami Street directly in front of her. She honked her horn once to alert the driver that he cut her off, according to police. The complainant then followed the silver vehicle at what she said was a safe distance south on Blackhawk Drive. When approaching the stop sign at Shabbona Drive, the silver vehicle pulled to the side and motioned for the complainant to pass. The complainant pulled her vehicle up next to the silver vehicle as she was approaching the stop sign. The driver of the silver vehicle then allegedly threw something from his vehicle, striking the passenger side of the complainant’s vehicle. The complainant continued past the stop sign when she saw that the silver vehicle was now following her. The silver vehicle then pulled up to the driver’s side of the complainant’s vehicle and stopped. The driver exited the silver vehicle, walked to the side of the complainant’s vehicle, and allegedly kicked the rear driver’s side of the complainant’s vehicle twice, according to police. During this time, the man was yelling at the complainant saying the complainant called him the N-word, according to police. The man then returned to his vehicle and left the area. As he was leaving, the complainant wrote down his license plate on a pad of paper and called the police. When asked about any other confrontation between the two of them, the complainant stated there was none. She said she only honked her horn at the silver vehicle and did not make any gestures or say anything to the driver. When police asked her if she used the N-word, she stated that she did not. Police located Mr. Jones at his address on Seneca Street after using a law enforcement database with the license plate number the complainant supplied. Mr. Jones said that he was traveling southbound on Blackhawk Drive behind a landscaping truck that was pulling a trailer. The truck was traveling very slowly, so the driver behind Mr. Jones became upset and started honking and tailgating Mr. Jones’s vehicle. Mr. Jones said that the vehicle behind him lightly struck the rear of his car. Mr. Jones pulled to the side of the road when the other vehicle pulled up and the driver in that vehicle called him the N-word, so he threw something at her vehicle. The officer speaking with him asked him why he never called the police to report that he was struck by another vehicle. There was no identifiable new damage to the rear of his vehicle, according to police. The officer asked Mr. Jones to come outside so he could be placed under arrest on suspicion of criminal damage to property. He did come outside and was placed into custody and transported to the Park Forest Police Department. Police spoke with a witness who said he observed the driver of the silver vehicle throw something, possibly a soda can, at a gold car being driven by a woman. The witness said that after passing a stop sign, he observed the driver of the silver vehicle exit the driver’s seat of the silver vehicle and allegedly kick the gold vehicle. The witness said that he attempted to take cell phone video but was unable to successfully do so. The witness said that he continued to drive to work at Talala School. After arriving there, the driver of the silver vehicle, Mr. Jones, pulled into the school parking lot and allegedly confronted the witness about attempting to take video of Mr. Jones. The driver, Mr. Jones, stayed inside his vehicle and was irate, according to the police report. The witness then told Mr. Jones to “smile,” because he was on camera, referencing the school surveillance video. Mr. Jones then left the area. 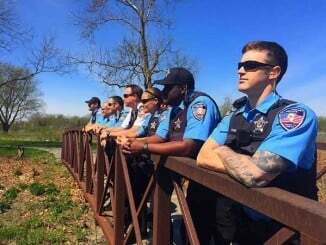 Prior to being released from the Park Forest Police Department, a Sgt. advised Mr. Jones that he was not allowed to return to Talala School and that he could be arrested if he returned. “Without being asked any questions, Jones said, ‘I was just mad. I was so mad,'” according to the report. Mr. Jones then acknowledged that he was not to return to Talala School, according to police. Latisha N. Joseph, 25, 285 Green St., Park Forest, was arrested on October 1 and charged with one count of domestic battery when police were dispatched to the 400 block of Wildwood Drive to investigate a report of domestic battery. Upon arrival, an officer was approached by the complainant who was in front of his residence. While the complainant was speaking, the officer observed blood coming from the compainant’s mouth and saw blood on the complainant’s left hand. The complainant then directed the officer’s attention to a blue Ford Expedition which he claimed belonged to the woman who allegedly battered him. The complainant said that he and the woman, Latisha Joseph, had been arguing for several days over various things. He said that she accused him of speaking to other women. He said that Ms. Joseph and he have three daughters in common. He said that Ms. Joseph allegedly slapped him in the face two times. He said that he then sat on the living room couch to cool off but Ms. Joseph allegedly confronted him there too and allegedly grabbed him by the throat. The complainant stated that he then grabbed his phone to call his mother because she usually is able to calm Ms. Joseph down. The complainant then stated that while on the phone with his mother, Ms. Joseph allegedly punched him in the face with a closed fist causing him to bleed from his lips. He then told his mother to call 911 which she did. He said he walked outside with his daughter to wait for police.